A crowd-pleaser, this Instant Pot Chicken Teriyaki is ready in thirty minutes! With only six ingredients, you won’t spend all day in the kitchen preparing this delicious chicken dish. My Instant Pot has been a game changer. The Instant Pot makes healthy, delicious meals ready in no time. I used to make chicken teriyaki on the frying pan, but it’s easier with the Instant Pot since it can cook chicken straight from frozen! 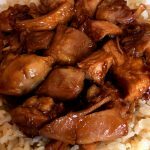 This Instant Pot Chicken Teriyaki is a great way to add an Asian influence into your cooking. When you think Chicken Teriyaki, you probably think you’ll need a bunch of ingredients. 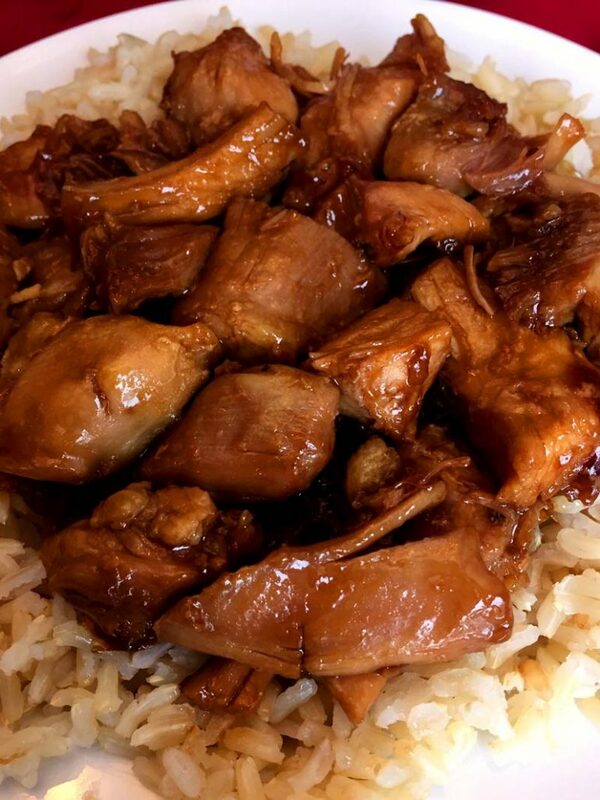 That is not the case for this incredibly easy Instant Pot Chicken Teriyaki. With just a few ingredients and thirty minutes, you’ll have this succulent chicken recipe ready at your table. You don’t have to go to your neighborhood take-out restaurant to enjoy chicken teriyaki. 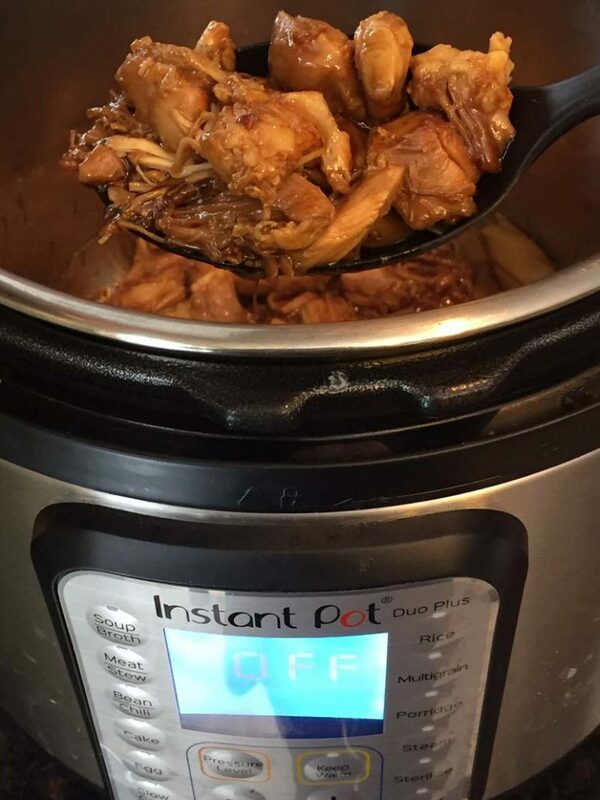 This delicious chicken recipe can be made in your instant pot in just thirty minutes. 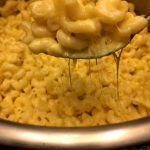 Easy to make and delicious, your instant pot makes this recipe done in a flash. A sure crowd-pleaser, this Instant Pot Chicken Teriyaki recipe will be a regular rotation in your weekly menu. 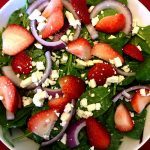 In just six quick and easy steps this recipe will be ready to go. No time to thaw your chicken? With just a few extra minutes, you can use frozen chicken breasts in this meal. Start by putting water and chicken breast or thighs in the instant pot. Close the instant pot lid and turn the valve to seal. Press the “Manual” or “Pressure Cook” button and set your timer for breasts to 8 minutes. For thighs, set your timer for 13 minutes. Using frozen? Cook chicken breasts for twenty 20 or 25 minutes for thighs. When your chicken is done cooking, allow the pressure to release naturally for 5 minutes. Quick release the remaining steam and take your chicken out of the instant pot. Cut your chicken into pieces and pour the water out of your instant pot. Put the inner pot back into the Instant Pot. Press the “Saute” button and set the time to 15 minutes. In a cup, mix the oil, soy sauce, brown sugar, and cornstarch. 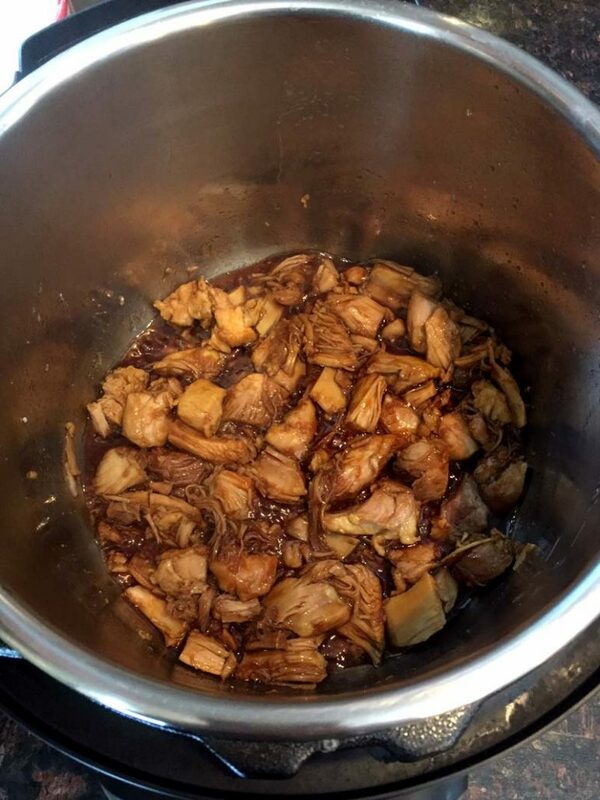 Add the cooked chicken and soy sauce mixture to the Instant Pot and stir every thirty seconds, until the sauce thickens. This will take about four minutes. Just like that, your Instant Pot Chicken Teriyaki is ready to enjoy. Easy, delicious, and sure to please, this recipe for chicken teriyaki is one you’ll enjoy over and over again. Who would ever guess a recipe so rich and flavorful could be so easy? 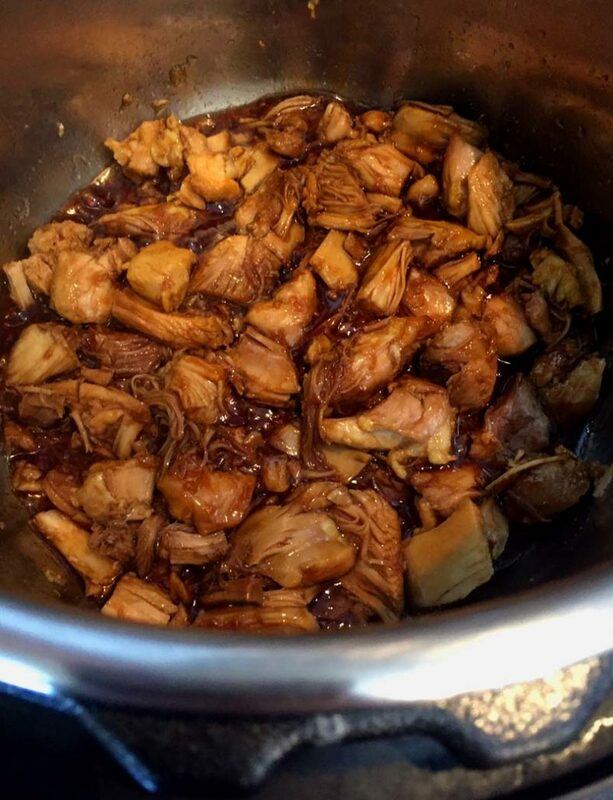 Instant Pot Chicken Adobo – authentic Filipino chicken dish, super flavorful! Instant Pot Salsa Chicken – spicy Mexican salsa chicken, shred and use in tacos, burritos and meal prep! 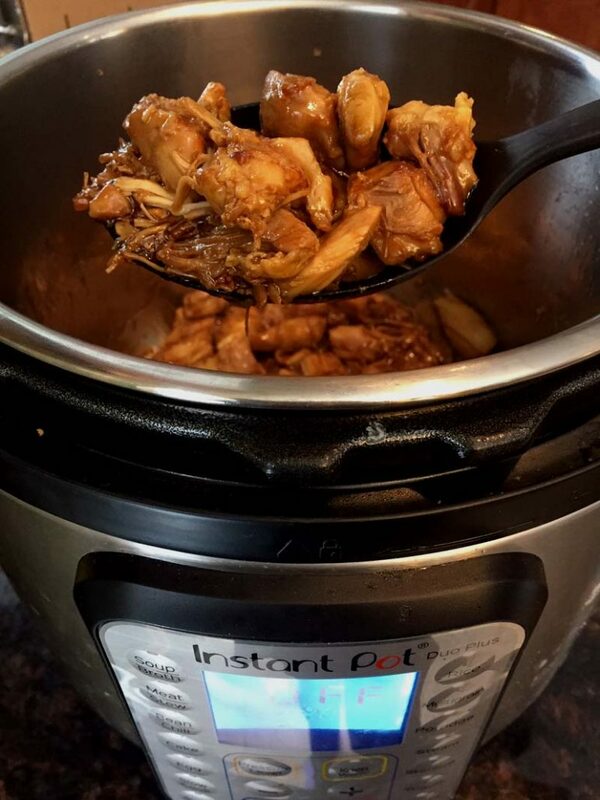 Instant Pot Rotisserie Chicken – stick a whole chicken in the Instant Pot for homemade rotisserie chicken! Instant Honey Mustard Chicken – another crowd-pleaser with a homemade honey-mustard sauce! 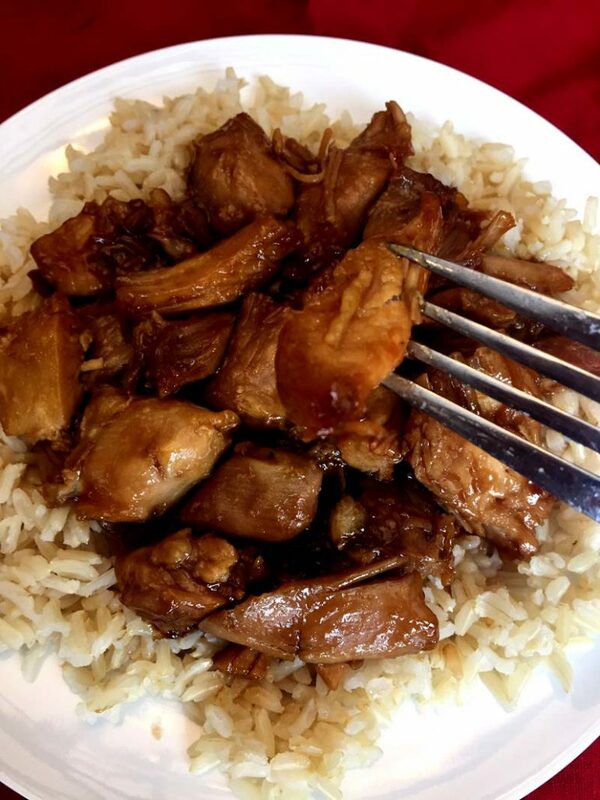 This Instant Pot chicken teriyaki is amazing! So easy to make and a true crowd pleaser! This one is going on your regular menu rotation for sure! Put water and chicken in the Instant Pot (you can use the trivet or put chicken directly in a water). Close the lid and turn the valve to a Sealing position. Press the "Pressure Cook" or "Manual" button and set the time for 8 minutes for chicken breasts (or 13 minutes for chicken thighs). When it's done cooking, let the pressure release naturally (NR) for 5 minutes, then quick release (QR) the remaining steam. Take the chicken out of the pot and chop into pieces. Pour the water out of the pot, then put the inner pot back into the Instant Pot. Press the Saute button on the Instant Pot and set the time to 15 minutes. In a cup, mix the oil, soy sauce, brown sugar and cornstarch. Add cooked chicken and the soy sauce mixture to the Instant Pot. Cook, stirring every 30 seconds, until the sauce thickens (about 4 minutes). You can make it with frozen chicken, just pressure cook from frozen for 20 minutes for chicken breasts and 25 minutes for thighs. I made the teriyaki chicken tonight. My family loved it.